Established in 2003, Apprise Consulting is an independent supply chain and logistics consultancy and training company. Our service is underpinned by years of operational experience within supply chain and logistics and our ability to work closely with clients from project inception through to implementation. For all the latest Warehouse and Supply Chain Management news throughout the world, please visit our blog. 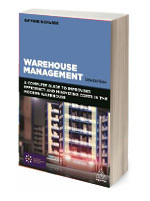 This book examines how to operate an efficient and cost effective warehouse. It provides guidance on using the latest technology, reducing inventory, people management, location and design. 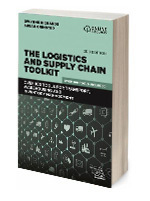 Provides logistics managers in the areas of transport, warehousing and inventory with a comprehensive set of tools to tackle many of the day to day issues in order to drive efficiency and business success.